The pregnancy to-do list is pretty long: schedule monthly doctor’s appointments, eat healthy meals, stay hydrated, prepare for your little one’s arrival, read everything you can…and exercise. Although all the items on this list are important, keeping your abdominal muscles toned during pregnancy can make the next nine months significantly more pleasant. 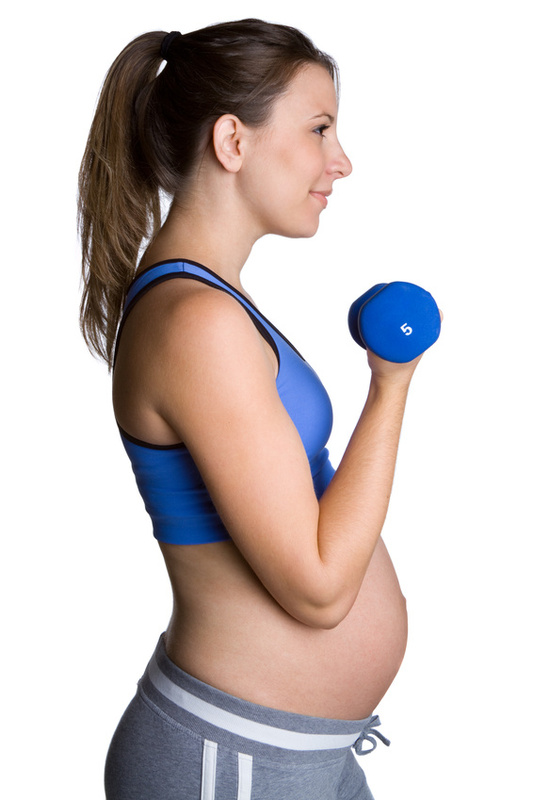 Committing to pregnancy exercises that strengthen your abs will help you carry the weight of your baby. Daily ab exercises can also help reduce lower back pain as well. Finally strong abs can help you during labor—the stronger the abs the more effectively you’ll be able to push. The more effectively you can push, the shorter your labor. Wondering how to exercise your abs to enjoy these perks? Read on. Yoga is an outstanding full body workout, however many poses directly focus on building a strong core. If you want a fit pregnancy, sign up for a prenatal class now. It’s important to enroll in a prenatal class rather than a normal one; some poses will be modified for the health and safety of mama and baby. You’ll also find that poses such as pigeon help to open the hips while tree pose helps you to build balance; both are bonuses! Although Joseph Pilates developed this workout system in the early 20th century, it’s only in the past several decades that it’s really gained popularity—and for good reason. Pilates focuses on building strength in the core as well as aligning the pelvis and spine, which are both crucial as a woman’s center of gravity begins to shift. Regularly practicing Pilates will strengthen abdominal muscles, decrease pain due to misalignment, and help to prepare a woman for childbirth. Not a bad package! Relatively new on the scene, the Tupler technique was created by Julie Tupler, a registered nurse, personal trainer, and childbirth educator. Her system of abdominal exercises is created to be done at home, with props such as chairs that would be readily available. Her approach focuses on developing strong abs as well as correctly breathing. For a detailed explanation of her system, visit her website. It may be time to treat yourself to the expertise of a personal trainer. There are dozens of ways to perform a sit-up incorrectly; a personal trainer can not only instruct you on the proper methods to do simple, core-building exercises, but he or she can also offer the moral support you may need to commit to an exercise program. The best aspect about a personal trainer is the one-on-one attention you’ll receive. Hiring a prenatal personal trainer will most likely result in more rapid progress than if you were doing the exercises on your own. Keep in mind that you needn’t head to the gym—many personal trainers will travel to your home. You may pay extra for this service, but you’re worth it! A good abdominal workout should focus on the deep abdominal muscles (not the top layer that form a six-pack) as well as the pelvic floor. Starting from day one gives you plenty of time to build the strong abdominals that will not only carry your baby, but that will help you deliver him or her. You are important: make the time to exercise. You’ll never regret committing to a fit pregnancy.